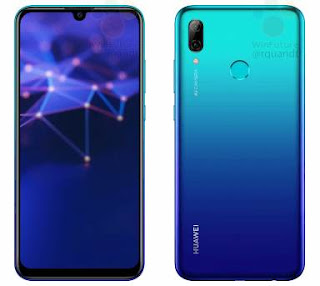 Like earlier, Honor P-Smart 2019 will be soon released as Europian version of Honor 10 lite,which was launched in China recently.The reason to say this is some phone's official renders have been shared by the famous leaker Roland Quandit.The renders not only reveals it's design but it also shows some key features. 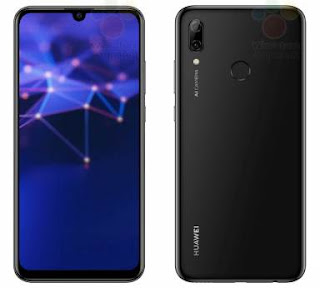 As per renders,the honor P Smart 2019 has a water drop style notch on top of display.The phone will have 6.2 inch display size with FHD+ resolution.Inside the notch,there will be a 24MP selfie snapper is expected.Its volume and power buttons are placed at right side and 3.5mm audio jack also can be seen. 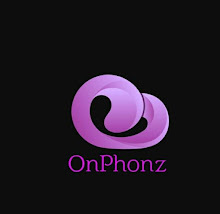 Inside the phone,it would be equipped with Snapdragon 710 processor along with 3GB RAM and 32 GB storage or 4GB RAM and 64GB storage.It will come with Android 9 Pie out of the box.For juice power,it will have 3230 mah rechargeable battery. At back side,it will have vertically placed dual camera setup with 13MP+2MP AI integrated snappers.For security,there is a finger print sensor is visible at its central part.As we can see in renders,it has Aurora Blue and Midnight black colors variants and is expected to cost €250 in Europe.